potions or pills. I’ve stayed youthful and radiant from menarche to menopause without cramps, PMS, irregular periods or hot flashes. My only issue during menopause was lack of sleep, and I was able to remedy that. Now that I’m into my post-menopausal phase, I feel more equipped than ever for the second half of my life. I’m even more committed to a holistic lifestyle, than I was at age 14, when I stumbled accidentally onto my life path. A book on fasting nearly jumped off a library shelf and into my hands. It was a pivotal moment when the universe gave me a big hint that I needed to change direction. I did. I learned that my body had the power to heal and I could take health into my own hands. I changed my diet and began to study culinary arts, healing whole foods, meditation, yoga and more. I fell in love with a holistic lifestyle. And so can you! To keep myself healthy, I choose diet, lifestyle and plant medicines because I know their power to enliven, balance and heal. I eat with the seasons, use foods and herbs to sustain and heal my body. I use certain practices, daily, to keep myself in balance. I love to nourish my senses, so they remain clear and open channels for Source Light. Are you curious about how you could do the same? I’m a professionally trained whole foods chef. From the moment I graduated culinary arts college, back in 1979, I began a journey into the world of natural foods, natural healing and natural living. I ran a whole foods catering company, cooked medicinal meals for people with degenerative disease and illness. And served as a founding member and Executive Chef for ‘The Change of Heart Lifestyle Modification Program” at Bay State & Noble Hospitals in Massachusetts. As a certified professional yoga instructor, with over 15 years experience, I have a strong background in yoga anatomy, therapeutic yoga, mindfulness, self-awareness, breath-work, and energy-work. (My other profession is helping people to get and stay out of pain.) I’ve been blessed to study meditation and yoga philosophy under the guidance of master teachers. I would love to share my vast knowledge of holistic health – food, movement, breath, mindset, renewal, love, and Spirit – with you. It would be my pleasure and an honor to guide you along the path a holistic lifestyle, so you can look and feel your best, as you age. 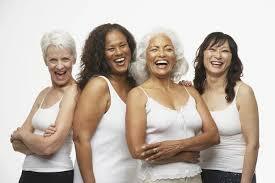 I believe aging is a journey that every woman can and should master. Great health is the foundation for everything we will accomplish in this world. I’m committed to helping women make appropriate changes, so they can cultivate and preserve tremendous vitality, live long so they can leave their unique and positive mark upon the world. As I see it, women could have the single biggest positive impact on our culture and on the earth, by shifting the way we live and the products we buy and use. We’re going to shop anyway! So why not purchase organic foods, not to mention toxin-free cosmetics, cleaners, and household items that will allow our bodies to detox and the environment to rejuvenate? You should know that I’m a straightforward kind of gal, in both life and coaching: I call it like I see it, and tell it like it is. No BS, here. I walk my talk and am healthier for it. In fact, each year, I continue to grow and learn. I’ve become more savvy with my own self-care habits. And I really do feel more nourished and balanced than ever. I love to have fun with my clients! If we’re a good match and you choose to become a client, I’ll walk you through a personalized journey so you can manifest your unique vision of health. I’ll treat you like family, because I want you to enjoy the changes you’re making. And I’ll support you to fall more deeply in love with your body, yourself, and your life. I so want you to become masterful at aging!! prepare and recover from various types of surgery. reduce diabetes medication and balance blood sugar. create a vision of health and manifest that vision. begin a fruitful new phase of life, after retirement. balance weight gain and weight loss. regain strength and peace of mind after an injury. Don’t wait another day to reclaim your vitality and change the way you’re aging. Let’s get you started on the path to a long and healthy life. 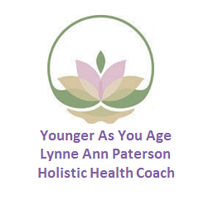 Request a “Younger As you Age” complimentary consultation, right now. Just enter your full name and best email address in the sign-up box. I do look forward to “meeting” you soon!! I hope that you’ll pass my website information on to all your girlfriends and tell them how passionate I am about my work. I wish to serve as many women as possible, in my lifetime. Together, hand-in-hand, we can create a movement to restore health and vitality to our own bodies and to this beautiful earth. Sign up to get savvy with your self-care!